CUSA’s work on environmental security is included in Hans Gunter Brauch, et al (eds. 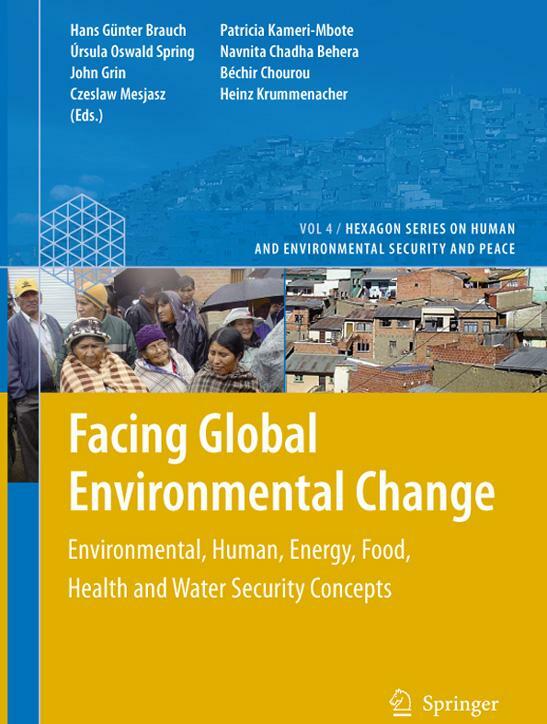 ), Facing Global Environmental Change: Environmental, Human, Energy, Food, Health and Water Security Concepts (Peace Research and European Security Studies Press, 2009). This volume is the fourth in the Hexagon Series on Human and Environmental Security and Peace, and contains a chapter by Richard A. Matthew and Bryan McDonald on “Environmental Security: Academic and Policy Debates in North America.” Book launches for this volume have been held in Berlin and Bonn Germany and at United Nations Headquarters in New York.